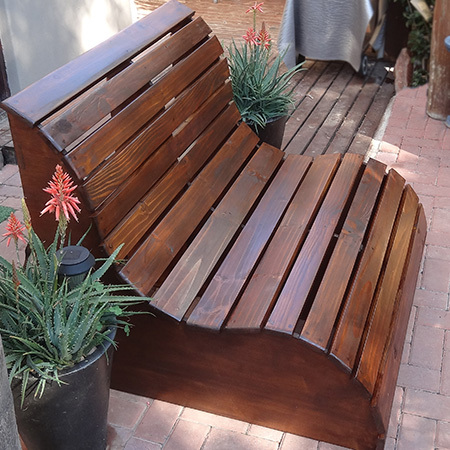 This pine Love Seat is perfect for a quiet corner in the garden, on a patio or deck. The Love Seat is available in various lengths and can be finished in your choice of wood tint. 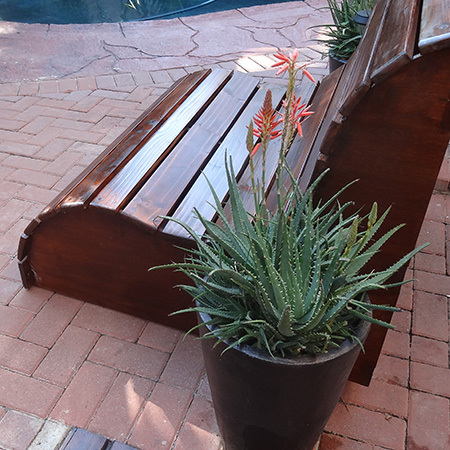 Each bench can be finished in your choice of pine (natural), teak or imbuia with exterior sealer. 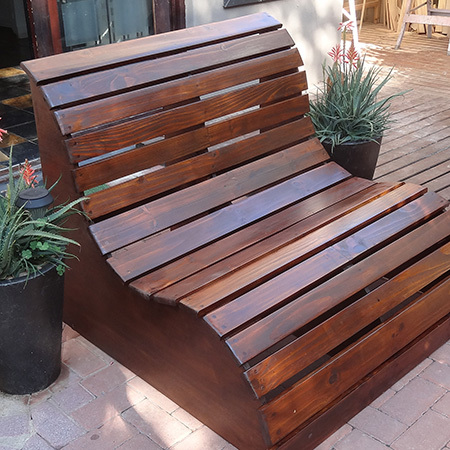 Sturdy and strong, this slatted love seat is comfortable and adds a unique feature to any outdoor space.